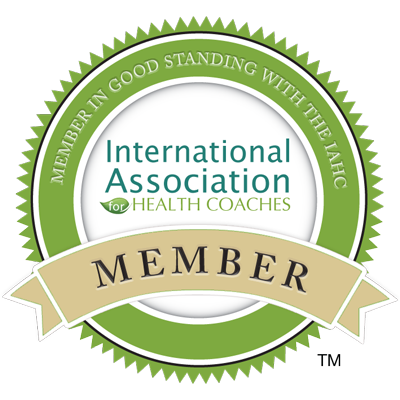 Did you hear that cauliflower is the new kale? That made me laugh when I read it on a food blog this week, but with all of the delicious cauliflower recipes popping up everywhere, perhaps it’s true. I recently won Elana Pantry’s new paleo cookbook. Since I never ever win anything, this made me very happy especially since it’s such a beautiful book full of recipes that I know I will make time and time again. I have since been enjoying reading through and sampling some of Elana’s delicious recipes. 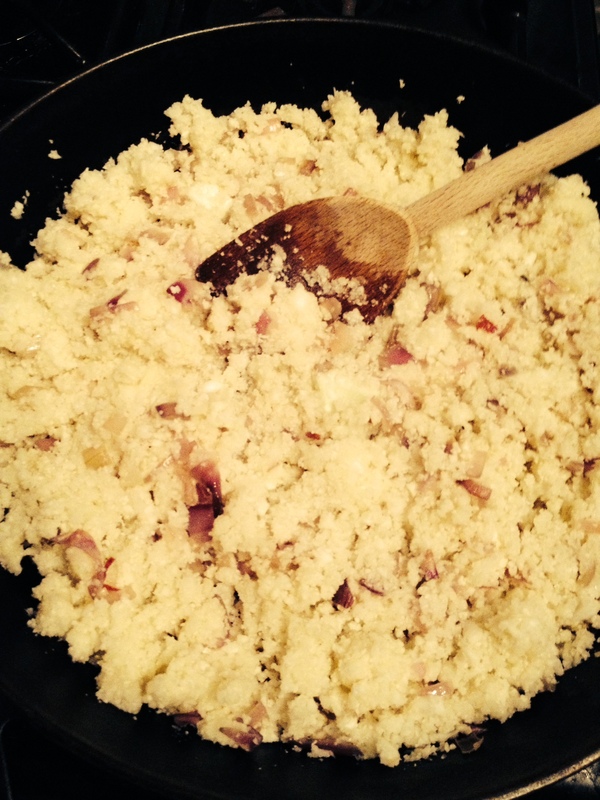 And I just had to share my version of Elana’s Cauliflower Rice on this blog. If you love rice but feel quite bloated after eating it and want an alternative or if you are interested in a paleo diet, this recipe is for you. You won’t even notice it’s cauliflower and I think the taste is actually better than rice and more versatile, considering the different spices and vegetables you can add to it during cooking. It’s very simple to make with just a few ingredients and a few stirs in the pan. Perfect with roast vegetables or slow cooked meats. Heat skillet over medium-low heat and add coconut oil. Add onion and shallot and stir occasionally. Cook until soft and translucent, 5-7 minutes. 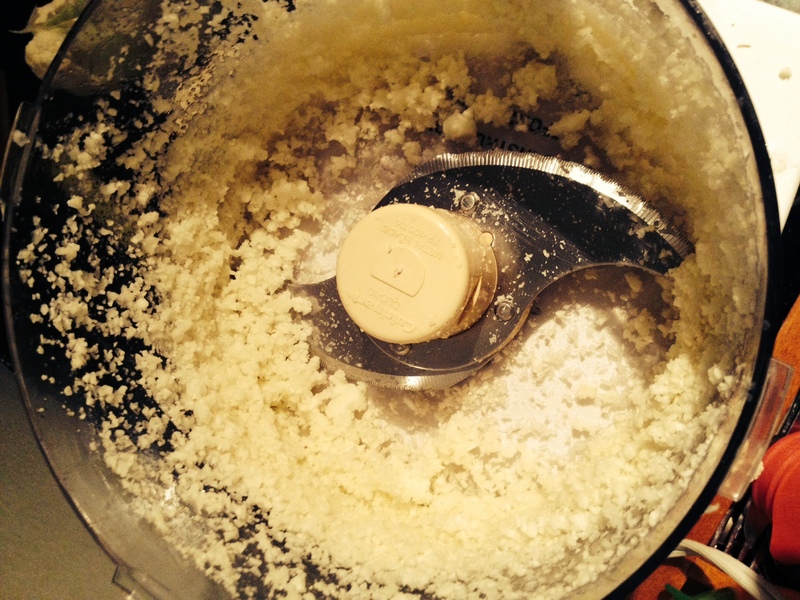 Meanwhile, place a few cauliflower florets in a food processor (be careful not to overfill). Pulse until broken down to “rice”. Then add to the skillet. Season with sea salt and black pepper and extra spices. Cook for 20 minutes until soft. Add splashes of filtered water during the cooking process so that the rice is fluffy and it doesn’t stick to the pan. 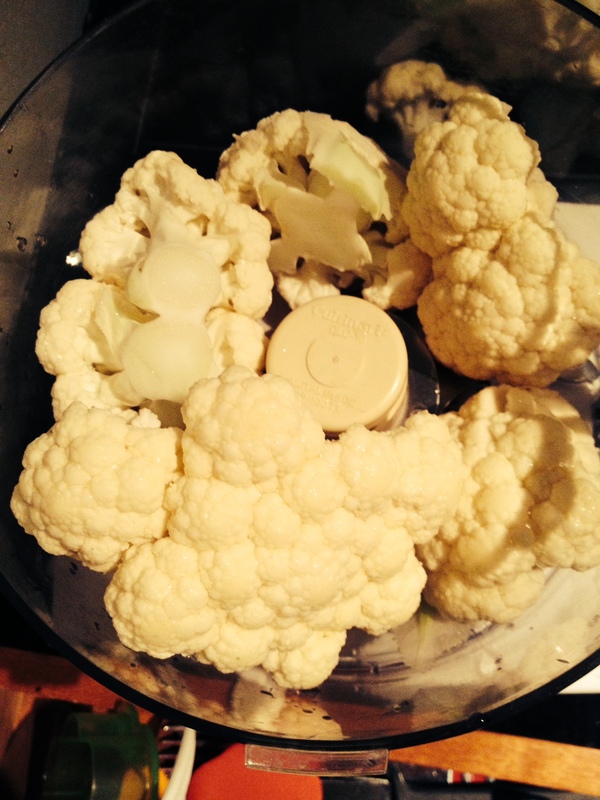 I just posted about all the different uses of cauliflower that I want to try! Everything from pizza crust to alfredo sauce. Thanks, Ani! 2014 is the Year of the Cauliflower. Great recipe! I have also made mashed cauliflower to replace mashed potatoes.